Whilst advances in artificial intelligence have made their mark over these last two years, they have also provoked an intense race to develop and innovate between the major powers, with China and the United States foremost amongst them. As is often the way, France was slow to get its act together and join this race. From now on, though, it can count on the firm commitment of its government, which is very much aware of the strategic issues surrounding AI, and is working hard to have it recognized as a major source of economic growth. The year ahead will be a decisive one for France: either it will manage to become one of the Top 5 world leaders in AI by investing massively in the sector, or it will fail to drum up enough momentum, and will have to bow down before the might of the GAFAMI American and BATX Chinese giants, thereby giving up any form of national sovereignty in AI. Contrary to what certain pessimistic comments in the media would have you believe, this dilemma, which, incidentally, is faced by Europe as a whole, is not insurmountable. 2017 saw AI be exalted for its successes and performances that sometimes surpassed the highest levels of human expertise. 2018 should confirm this trend, turning it into a long-term one. The number of French startups exploring AI increased sharply in 20171. There are consequently now more than 280 of them around the country, active in sectors such as health, intelligent vehicles, mobility, robotics, insurance, finance, and language processing. Entrepreneurial dynamism is supporting the development and dissemination of artificial intelligence (AI) in our daily lives. The growth prospects linked to the transition to digital, and the rapid advances being made by AI, create optimism, which, in turn, boosts innovation. This virtuous circle is occurring with full force in Asia and North America. It must now take hold in Europe and in France, a land of innovation that harbours numerous world-recognized talents in AI. As is often the case, we have available to us, right here at home, a good hand of cards to play. All we need to do now is use them appropriately so as to be included in the list of the leading nations in AI. 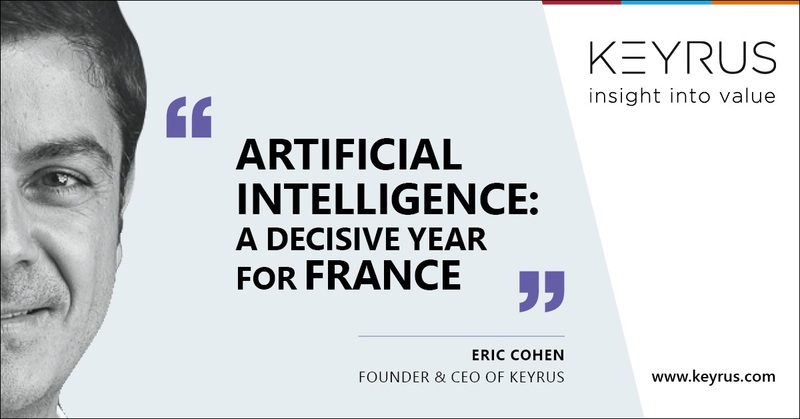 Over these last six months, this optimism and confidence have given rise to several French initiatives intended to facilitate and promote the development of artificial intelligence. They are to be welcomed, because they play a very direct part in building a national AI ecosystem geared to the challenges that our economy will have to meet. Having been conducted at the end of the previous five-year presidential term of office, the first France AI mission paved the way for a nationwide debate on AI, culminating in the publication of an initial scoping report2. As soon as he came to power, President Emmanuel Macron sought to give artificial intelligence its rightful place in State strategies by tasking the MP and mathematician Cédric Villani to undertake a detailed and exhaustive audit of national skills and policies in this field. Launched in October 2017, the Villani Mission3 has conducted more than 250 interviews with experts, entrepreneurs, institutional representatives, researchers and players in AI, covering all the sectors affected by this technological revolution. This very precise assessment of the French ecosystem is set out in a report delivered to the Prime Minister in February. In that report, the Villani Mission emphasizes the measures to be implemented swiftly and formulates recommendations for providing support over the medium term. At the same time, some one hundred well-known figures in this field, including industrialists, startuppers, innovators, and experts, have co-founded the France AI Hub4. Its aim is to bring together the national ecosystem and facilitate innovation and the transfer of skills between the research community and industry. In the regions, initiatives focused on AI and NBIC (Nanotechnology, Biotechnology, Information Technology, and Cognitive Science) technologies are springing up and proving that this dynamism is spread out evenly across all regions. Thus, the University of the Future project being undertaken in the Nouvelle-Aquitaine region is part of this drive, as is the creation of the NXU Think Tank5 in Toulouse, dedicated to cross-cutting debate on the societal impacts of the convergence of NBIC and AI. Faced with this technological revolution, the citizen must not be kept out of the national debate on the stakes and challenges associated with AI. It is for this reason that the French expert Nicolas Miailhe co-founded the AI Initiative at Harvard University6 and exported this great participatory debate to Europe and France, inviting each citizen to speak out on their vision of AI. Lastly, at the European level, the dynamic also exists, and is embodied in the Franco-German Euro J.E.D.I. (Joint European Disruptive Initiative) project7 to create a European "Darpa agency" dedicated to accelerating the development of AI-related technologies. The dynamism of French AI startups, and these hubs, think tanks, and participatory debates, are uniting a national ecosystem that will make 2018 the year of great success!